Some issues have been left "to the discretion of the spiritual father" in recent church documents, such as the document on the participation of the faithful in the Eucharist that was recently adopted by the Bishops' Conference." What is a spiritual father? Is it a person who regularly hears confessions or one who gives spiritual guidance? To what extent do we need to listen to a spiritual father? Should we solve domestic problems with a spiritual father? 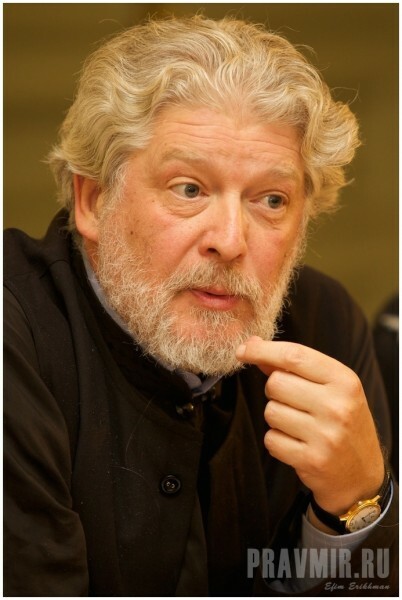 Archpriest Aleksey Uminsky, rector of Holy Trinity in Khokhlov (Moscow) answers these questions. – It seems that different people have different understandings of the word “spiritual father”. Exactly who is a spiritual father? – A canonical understanding of a spiritual father has not been formulated. Therefore, the word has many meanings and is understood by different people in different ways. Some understand the word “spiritual father” as a person who executes the sacrament of confession. That is to say, the priest, who regularly hears your confession. Another person may understand “spiritual father” in an even more serious sense, such as, let’s say, spiritual leader. That is to say, a person who not only confesses regularly, but is spiritually obedient, and always discusses steps on his spiritual path with the priest. In this sense, he considers that priest his spiritual father. 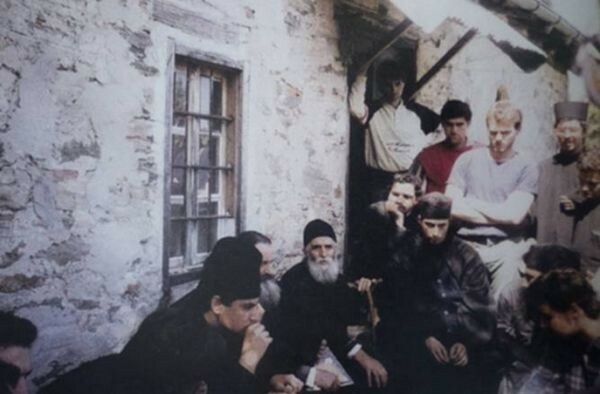 More recently, there existed the understanding of a spiritual father at Orthodox schools and gymnasia. Today, we invented a new expression for this obedience — spiritual caregiver. This is what priests are called who regulate spiritual issues in educational institutions. We know that there were spiritual fathers for the Tsar’s family. They were appointed by the Holy Synod and heard confessions from members of the Tsar’s family. So, I repeat, the concept of “spiritual father” has many meanings. 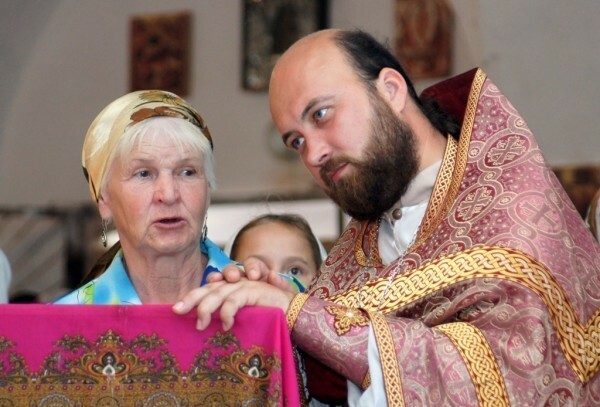 For example, we in the Moscow Diocese have several spiritual fathers who hear confessions of the clergy during Great Lent and the Nativity Fast, for example, Archpriest Georgiy Breyev and Archpriest Nikolai Vazhnov. At the same time, each priest may choose to have his own spiritual father — a spiritual father who provides spiritual guidance — or he may chose not to have one. – How obvious is the distinction between a spiritual father — a priest to whom you confess — and a spiritual father who is a spiritual father? – A priest is not required to be a spiritual father, but he is a spiritual father in so far as he possesses obedience and the right to hear a confession. Therefore, any priest is a spiritual father — he takes confession. For example, in the Greek Church, not all priests hear confession, that is, not all of them are spiritual fathers, only those who have a special blessing from the bishop. Primarily, it is the monks in the monasteries. In the Russian Church, all priests have the right to hear confessions — both the experienced and inexperienced. – What if during confession, a young priest begins to instruct older, even elderly, parishioners? – The important thing is how he instructs, because, in reality, it is the duty of the priest to give instruction. There is nothing to be done. Another thing is what instruction he gives, how he gives it, and with what intonation. 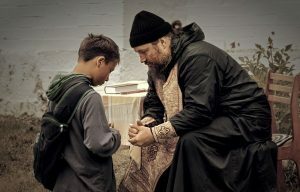 If a priest, though young, is well–read and knows patristic literature, he is able to give an example of instruction from the Holy Fathers, an example from the life of a saint, or an example from Church Tradition, which may be useful in a parishioner’s spiritual life and his struggle with sin. If a priest begins to give instruction personally, from his personal opinion and his spiritual and worldly inexperience, often it can be harmful — and that happens quite frequently. – How do you respond to a parishioner in this case? – There is no universal advice here. I remember myself at a young age saying some ridiculous things to people who were much older than me, because I simply did not understand how they lived and their circumstances. If a more experienced parishioner had put me in my place, I probably would have been seriously offended, because I thought that my spiritual calling covered all my personal stupidity. I think, though, that in some individual cases one can disagree with a priest. Moreover, it seems to me that if they don’t ask the priest, then he also shouldn’t be obtrusive in giving his advice. Although there are times when the priest is obliged to suggest something important and concrete. Actually, the area of spiritual direction and confession are sacraments. It can’t be regulated completely. It is, of course, regulated in its own requirements and there are special sections where the priest is invited to ask certain questions to the person confessing. If we look at these issues, though, in the context of modernity, it becomes clear that they don’t quite fit in. Over the past twenty years, we have faced a very big problem called junior eldership. Much has been said about this subject, including by the late Patriarch Aleksey and experienced priests. Unfortunately, a decision has not been made so as not to trust the right of recently ordained priests to hear confession, although in situations where there aren’t enough priests and there are a lot of people who come to the temple, it is not possible to do. I think the experience of confession and spiritual counseling is not taught properly in seminaries. Experienced spiritual fathers can talk about those moments that a priest will face in practice, and which are simply unknown to a young man just receiving his call. He can become confused when faced with a serious confession. Someone’s confession may really shock him and he may not understand how to react. For example, a 55 year old woman comes to a young priest in a large provincial industrial city for her first confession. She confesses her whole life to him — the hard life of Russian woman with a husband who drinks — all the difficulties and tragedies, and speaks about the number of abortions she has had, which might be more than ten. The priest is not always able to react to it correctly: He can’t wrap his mind around the 10 abortions. Each of these, as murders, excommunicates a person for 20 years. So, this results in being excommunicated for life. Technically, the priest is proceeding correctly, because the canon suggests such punishment, but, obviously, today it is impossible to act this way because human life is completely different and it is necessary to know what is being said. A young priest may not understand that this woman doesn’t need excommunication, but rather support. If she came with repentance, he needs to help her go further to Christ. They can’t understand, because they don’t think that they have any serious sins in their lives for which an unfortunate, innocent child should bear such a terrible punishment, torment, and pain in the eyes of his parents. They are ready to cut their hands and legs off, if only the child is spared from suffering — and further, after the parents hear this, they don’t want to believe in this kind of God. The priest does not know that it is impossible to talk like this to people who are experiencing grief and are in a period of acute suffering. In the end, the priest will learn after some time. This is usually how it happens. Priests shouldn’t be surgeons, though, and have their own cemetery. A priest shouldn’t be taught to hear confessions at the level of living of people who, from the beginning receive a vast amount of dangerous, incorrect, strict, and hard teachings. Within ten years, a priest will become wiser, understand his mistakes, and begin to be a good spiritual father. We all went through this, but I think we should do something about it and introduce a safety somehow. It is necessary to seriously discuss the issue of whether one should become a spiritual father right away or to serve as a priest, look at people, talk to them, first be a catechist and gradually enter into the sacrament of confession through conversation and interaction with experienced priests. Moreover, we see the experience of the Greek Church, where experienced spiritual fathers and monks really know the meaning of confession. They receive a blessing for this. A large number of people come to the monasteries in order to truly and seriously go to confession for a spiritual benefit, rather than just to use as a pass to receive communion. 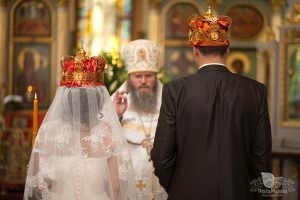 – Should every Orthodox Christian have a spiritual father? 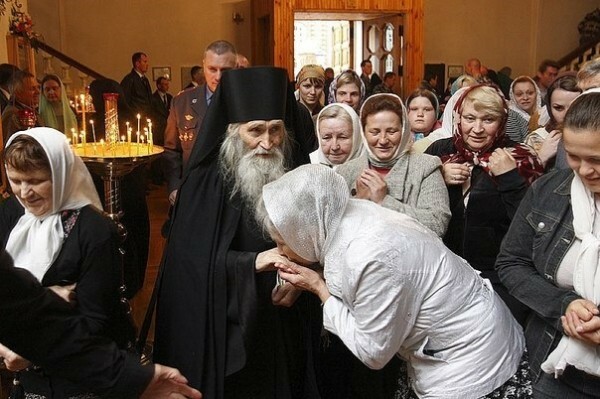 – We have no canonical rules with regard to spiritual guidance that every Orthodox person should have in a spiritual mentor and leader in his life, whom he will obey. This sort of spiritual guidance is important to people who already have spiritual experience and are really serious about their spiritual path and spiritual life. Our Church possesses the fullness of salvation. The Church has the sacrament, Holy Scripture, Holy Tradition, and the opportunity for a person to learn the spiritual path in the Church itself, without employing some sort of special means. This sort of spiritual direction comes from the monastic environment. 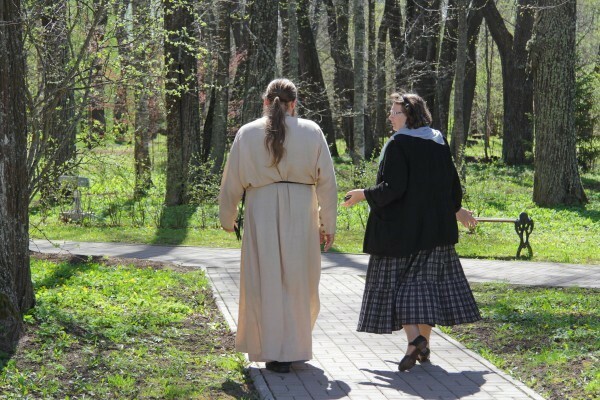 Those entering the monastery take a vow of obedience, which involves surrendering one’s own will to the will of a spiritual mentor, confessing his his thoughts to him and, in doing so, receiving profound spiritual guidance in special conditions created for this purpose. Secular life in big and small cities does not involve special circumstances in which a person might be in obedience. There are, though, without a doubt, people with a higher attitude towards spirituality. They will have a thirst to learn the spiritual life and to seek experienced spiritual people and ascetics who have taken a certain path and, through spiritual experience, know and testify about their knowledge of God. They can share this experience, because not every man of faith who has taken this path can share his experience. It is also a special gift. A person can have a very spiritual life, and be a man of faith, but may not be able to to convey it properly and adequately to a student, realizing his spiritual state and experience. Not everyone can do this. Therefore, one will not learn something from personal contact with every holy man, man of faith, or starets. I want to emphasize that people seeking a spiritual path, turn to their spiritual fathers specifically for spiritual experience, a correct understanding of circumstances in their lives, and to know the will of God. Specifically to properly learn the will of God. Not in the sense of knowing God’s will whether or not to switch apartments or buy a home, to enter a particular educational institution or not, or whether to buy a car, but rather this is referring to salvation. This is because we, unfortunately, ask a person about something primarily concerned with these everyday things that is not relevant to salvation. Very often a person is just scared to live, afraid to make decisions, and terribly mistaken. He does not trust in God. So for obedience, he hands off his irresponsibility and his cowardice to live, placing it in a beautiful package of alleged spiritual life. I don’t think there is a lot of spirituality here. – Does a person in fact entrust a spiritual father with his life? – This is rather complicated. For example, someone wants to entrust his life to me, and I don’t want to completely take anyone’s life in my hands. People who are entrusting their spiritual life to someone must be sure that the person to whom they are entrusting it is ready to take it. A preparedness to take on another’s life requires a very deep knowledge and understanding of each other, very deep spiritual insight, and unity of mind. There must be an internal spiritual kinship, when a person decides to take on another’s life, and for the other who has decided to hand over his spiritual life. These moments are very difficult and, I would say, in some ways unique. When people I have known for many, many years as my parishioners, who regularly confess and who, to a greater or lesser degree, entrust their lives to me and I accept them, still and all, I allow them personal freedom and this includes remaining free myself. This is because as a sinful man, I’m not immune from mistakes. I can give wrong advice. That is, I give every person the opportunity to listen to me, or vice versa, not to listen. All of my advice is given without having definitive authorization. When a person so entrusts his life to another out of love and obedience to God, even when the spiritual father is wrong (and a holy man can make a mistake), and to even accept when his spiritual father is in error without so much as a murmur, out of love and obedience — it may be that through mercy and love the person is not spiritually harmed. In this case, though, when we talk about spiritual direction in the world, when a white priest becomes someone’s spiritual father, it is a matter of personal freedom and personal responsibility. A priest can’t be so adamant as to say: only this way and no other way. He can give advice, but a person can decide whether or not to take it. Here, everything depends on the degree of interpenetration of spiritual kinship. – Sometimes, when the monks who are spiritual fathers give (or don’t give) a blessing to some important things such as to become a monk or get married, it turns out to be spiritually beneficial for a person. On the other hand, though, it can be a truncation of fate. How do we make sense of this? – There are truncated fates. There are errors, because “marry or don’t marry” is a question, in many ways, of human sobriety of the human mind. After all, if a person, for whatever reason, doesn’t want to get married and still does, that does not mean that it will be the right decision. Regardless of who might give a blessing, this is a question to which there are no clear answers. It happens in various ways. Two young people came to a monk whom they didn’t know, and he gave them a blessing — this is one instance. Another example is some people who come to their spiritual father, an archimandrite and starets of a monastery, who knows them very well. – If someone does not agree with the advice of the spiritual father, is it dangerous to disobey? Is disobeying a spiritual father actually the same as disobeying God? – In some cases, if we are talking about obedience to a starets at a monastery as a vow during tonsuring, then that is one thing. It is quite another if we are talking about a person going to a young priest during confession who told him: “You have to do this,” but the person did not obey. – How should one act if a priest is trying very hard to interfere in a person’s life, asking why aren’t you willing to have a discussion? If we are talking about a spiritual father, then it is important the spiritual father knows some facts about the persons life, in as much as that person feels that they are necessary. For example, a person has a family problem. 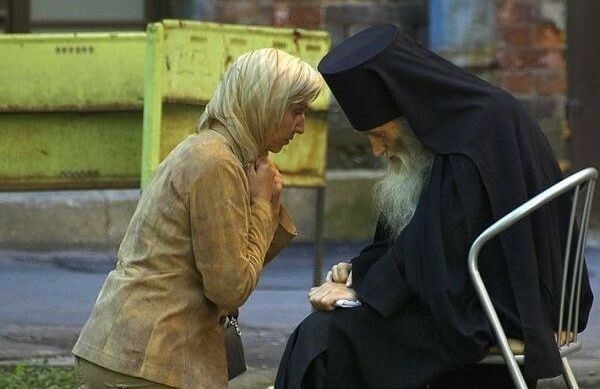 He comes to get some advice: “Father, please give me some advice. I don’t know what to do.” This may be a stranger or an unfamiliar person, who was sent to my congregation, because he had no one else to consult. Accordingly, I begin the conversation: “Tell me about your life circumstances. Who are you and how old are you?” I need to see at least some atmosphere in order to ascertain the situation. If a person does not want to talk about it then it is not necessary. It is similar to the way a person comes to the doctor and must tell where he is hurting, how he eats, what he eats, how he sleeps, and so on. Right up to the color of his urine, if necessary. This is how the priest asks if he really must give serious help to solve a problem, and the man himself wants it and asks for it, and has turned to him. So those coming with a question, in some sense, must take the initiative to tell about themselves. – It is very harmful to dream in the spiritual life. Catastrophically harmful. This is because, unfortunately, a lot of people, having read various books about the “spiritual,” begin to dream and organize their entire life according to some sort of illusion they have perceived. This is very bad. Spiritual life is a reality. The same answer can be given to questions such as: What is better, homeopathic or allopathic medical treatment? If someone wants to be treated by a homeopath — let them be treated. If someone wants to be treated by an allopath — please go ahead. Someone is taking little balls and someone else is taking antibiotics. It has nothing to do with the spiritual life. People may turn to me: “Batyushka, should I have surgery or not?” How should I know? What am I? A doctor? Do I have x-ray vision? It scares me when a priest believes that he can know something like that. I’m afraid for the priest and the person who spoke to this priest. 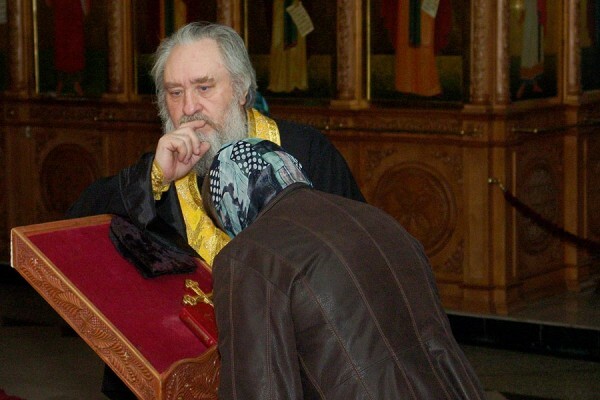 Still, I can understand when you ask a spiritual starets on the level of Father Ioann Krestyankin, who might actually know something from God that is not known to someone else. I am an ordinary priest and an ordinary person. I don’t know. I don’t have any special spiritual gifts. After all, a person has the frightening responsibility to make decisions for himself. – How can one tell if a spiritual father is good or if he just is domineering and being harmful? – It can be seen from the condition of a person. If a man lives happily, and has small fruits of the spiritual life, there is no discouragement, if he feels fullness of the heart — it means it is the right spiritual guidance. A person should not be discouraged from spiritual direction. If, after the spiritual father, a person is always discouraged and overly critical of himself and submissive, it means that something is not right. All can be told by the fruits. – Do you need to look for a spiritual father to whom you will always confess? – If a person goes to one and the same parish and is a member of the community, he communes in this community and doesn’t just run around to different churches. This is because the Eucharist is an affair of the church community and it is located, together with the priest, who holds Eucharist, who preaches, and who sets the correct spiritual way. After all, a priest can provide spiritual direction outside the continual advice given during confession. A priest administers spiritual guidance to a parish through sermons, through prayer, through service, and through the organization of parish life together as a combined service. and this spiritual leadership is hardly sufficient. The live words of sermons, proper intonation, and open service, are a reasonable understanding of what people expect from the Church itself, because the Church itself is the fullness of the gifts of God. – Can one have a spiritual father in absentia, without regular communication? – Maybe. For example, Metropolitan Anthony of Sourozh plays a huge role in the sense of spiritual guidance for me. I was not personally acquainted with him. I know of him from his sermons and books. I have found answers to many questions that worried me in Vladika Anthony’s sermons, in his words, and in his conversations. – To summarize, what percentage of freedom and obedience is there in spiritual guidance? Where does one’s personal will end, and where does one submit to the will of a spiritual father? – In this case, a spiritual father can speak correctly about specific things. He can insist on something if it’s obviously correct, and he knows for certain from his own experience and he may just give advice on other things and have people decide for themselves. Sometimes, in response I hear: “Oh, no, Batyushka, you don’t understand. Everything is great with us.” “Well, – I say – this time I don’t understand, then do as you wish.” But I refuse to marry them because I don’t feel it is right for me to take on responsibility where I have doubts. If you have a different opinion, and you’re sure of your feelings, please do what you need to do, but without me. Generally, spiritual leadership given by a priest does not include taking responsibility for the actions of another person. He helps a person. He can lead them, be an example, and direct them. This does not mean that he assumes responsibility for the life of a person who wants to make it more complicated. Otherwise, it is not spiritual guidance. Even monastic obedience — it is not shifting responsibility to a life of irresponsibility. Obedience – it is not irresponsibility.